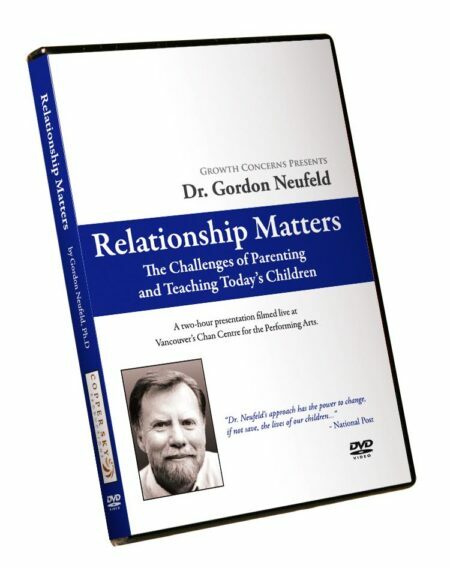 *Please note the Relationship Matters DVD material is now available to watch on our Free Resources page, https://neufeldinstitute.org/resources/free/. This is a professional recording of an outstanding presentation by Dr. Neufeld to a full house at the world famous Chan Centre for the Performing Arts in Vancouver, BC. The talk was received enthusiastically by both long-time students of Neufeld’s approach as well as by those who had heard him for the first time. 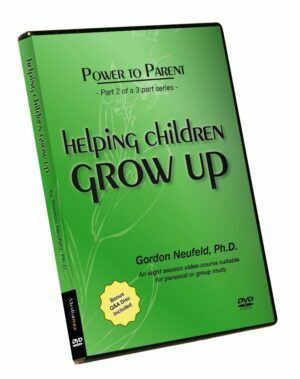 According to the audience, Dr. Neufeld did a brilliant job of explaining why a child’s relationship to the adults responsible must be the context for parenting and teaching. All the basic constructs of his teaching are woven into this captivating presentation. If wanting to get a taste of this refreshing approach, or wanting to introduce someone else to Neufeld, this is the place to start. DVD backcover description: Society has changed. So too have the challenges of parenting and teaching. We all want our children to realize their full potential. We all want our children to become caring and considerate individuals. Yet achieving these outcomes seems to be getting harder in today’s world. How do we provide the conditions children need to truly grow up? 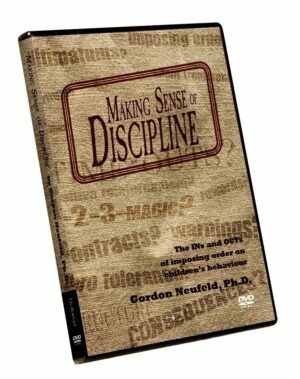 How do we provide direction and discipline without it backfiring? How do we shield our children against the rising tide of aggression and bullying? Dr. Gordon Neufeld addresses these issues and points to a way through. His approach is refreshing and his insights make sense, not only of today’s society but also of the children and youth in our care.